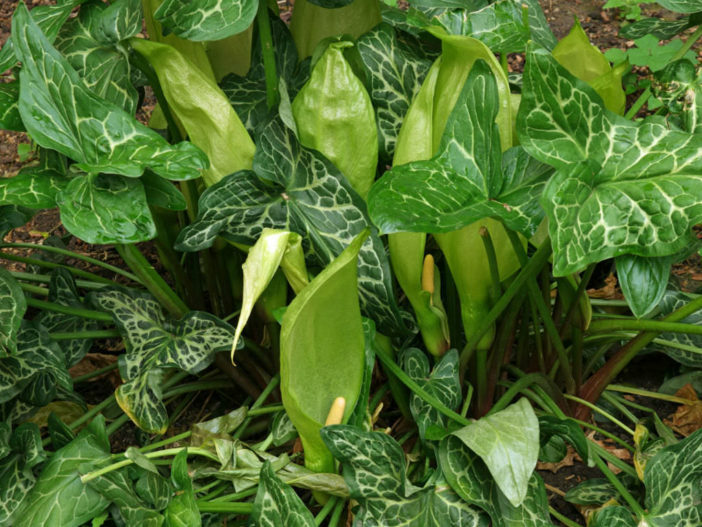 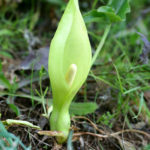 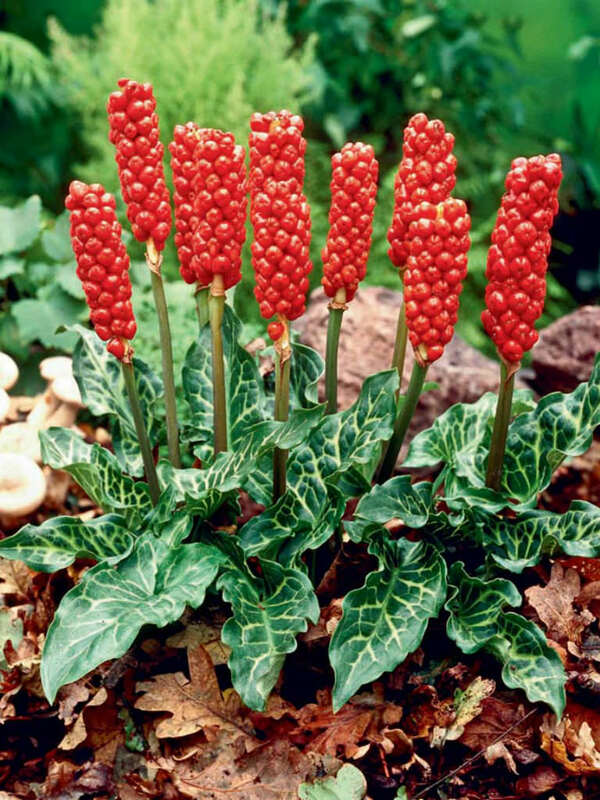 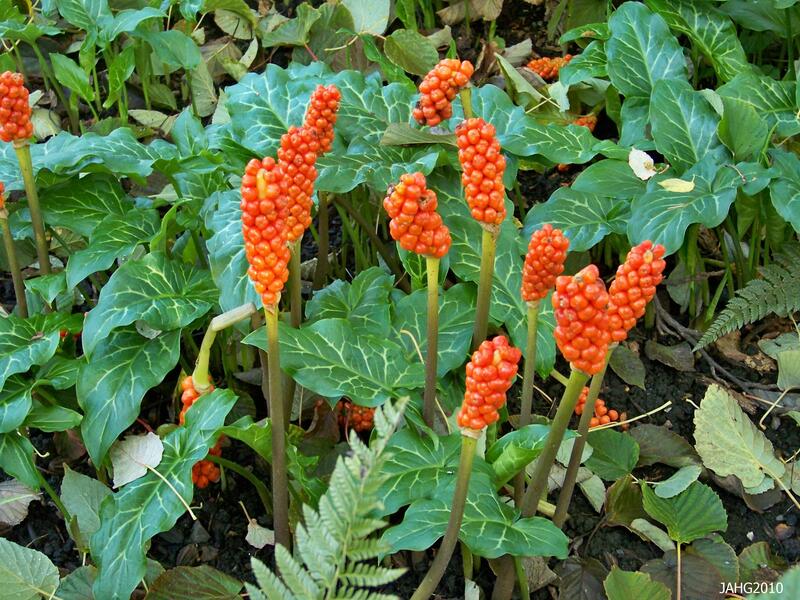 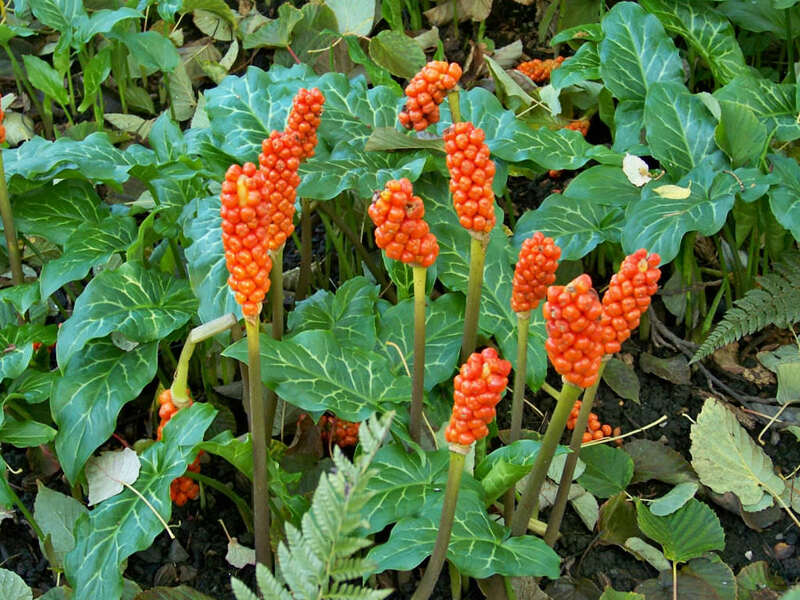 Arum italicum is a species of flowering herbaceous perennial plant up to 1.5 feet (45 cm)tall, with equal spread. 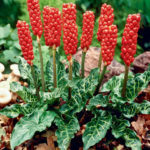 It blooms in spring with white flowers that turn to showy red fruit. 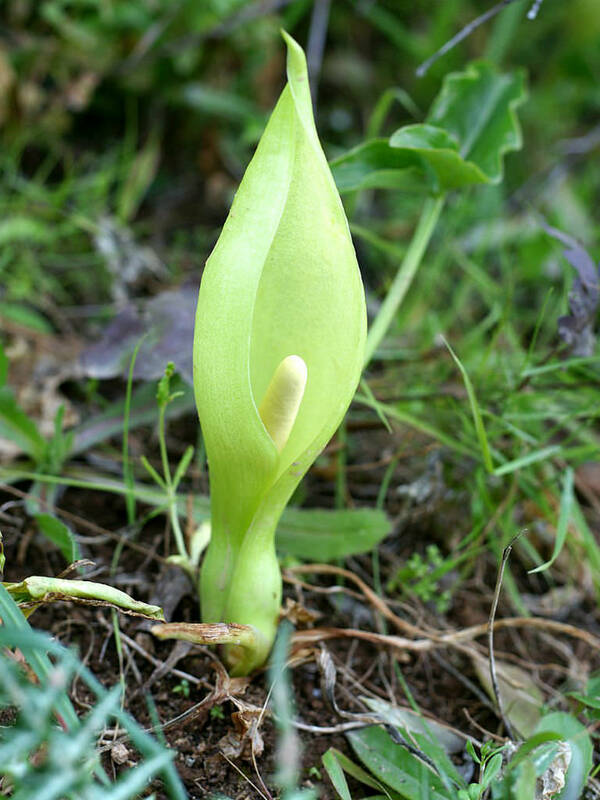 It has distinctive pale veins on the leaves. 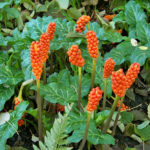 Native to the Mediterranean region plus Great Britain, the Netherlands, Crimea, Caucasus, Canary Islands, Madeira, and the Azores.